From humble beginnings with just six coffee vending machines, Frontier Coffee is now represented in all major South African cities. Long-term clients include international giants such as Netcare, GlaxoSmithKline, and AVIS. We are service oriented and align ourselves with national and international advances within the industry. We are able to offer unique solutions to our clients. We firmly believe in providing our clients with outstanding quality, superior service and eternal loyalty. In doing so, we strive to be a long-term flexible partner ensuring a sound return on your investment. Our core value discipline is customer intimacy with a strong focus on operational effectiveness. Therefore we have an 8-hour “call-to-onsite” policy. This service level has resulted in numerous contract re-signs with our clients. Using this strategy, we focus on long-term relationships and provide free technical support to all our rental clients. What is your most affordable coffee machine? Just arrived: The Vicenza touch screen coffee machine that can make 100 cups per fill. Using fresh milk and coffee beans, you’ll get a café quality cup of coffee every time. We retail the Vicenza for R 22,900. Ask your Sales Executive for more information on our new Vicenza coffee machine. What coffee machines do you offer? Frontier Coffee has a wide variety of coffee machines to suit your business’ needs. Boardroom Coffee Machines: These coffee machines use fresh milk and coffee beans and can make between 20 and 100 cups per fill. Coffee Vending Machines: Our coffee vending machines can either use instant coffee such as Nescafe or Ricoffy or use fresh beans. These coffee machines produce between 150 and 250 cups per fill. Can I get a coffee vending machine that uses fresh beans instead of instant coffee? Yes, we have two coffee vending machines that make use of fresh coffee beans using a built-in grinder. You can choose your own coffee beans to put in, but we suggest making use of our Trovato brand that has been specially perfected for our coffee vending machines. Does my business qualify for finance? We have two rental options available. Our rental option is done through bank finance. To qualify for this rental option, your company will need to provide, a copy of cancelled bank cheque and letterhead, copy of Directors/Members/Individuals’ Identity Documents, brief profile on your Company, latest Annual Financial info and 3 months Bank statements as well as VAT registration. Will I receive full maintenance on a coffee machine? Boardroom/ Espresso Coffee Machines: You receive a 1 year warranty which can be extended to include a 2 and 3-year warranty. The Warranty Form is for our records to ensure that if any spare parts or technical assistance is required during the warranty period it will not be for your account unless as otherwise stated in the document. Coffee Vending Machines: VendPlan is our full maintenance plan that provides your coffee vending machine with the required technical assistance, free call outs and spare parts for repair. However, VendPlan is available only for our clients within our Gauteng service area. Should your business be outside our service area, you will receive a 1 year carry-in warranty on your coffee vending machine that can be extended after the warranty period has expired. Do you have an office in Cape Town and Kwa-Zulu Natal? Durban: We have an agent that works closely with Frontier Coffee to provide the best coffee solution to you. Our agent also provides technical call outs and support should it be required. Western Cape: We offer purchases on all our coffee machines and coffee vending machines. The demo, technical assistance and installation will all be done by our Cape Town agent. Should your machine need to be brought in for analysis and repair, the courier will be at the customers cost. We still offer rentals on our boardroom/ espresso coffee machines, but once again installation and technical support will be given by our Cape Town agent. How do you assist with technical support if I am not in Gauteng? 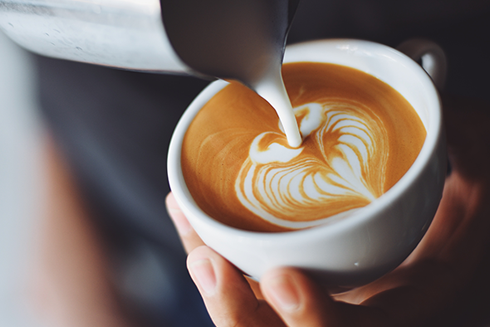 If you are purchasing a coffee machine, but your business is outside Gauteng, we will provide installation and technical assistance over the telephone with one of our experienced technicians there to walk you through the process until you have perfected that first cup of coffee. Should your machine have an error or issue that cannot be resolved over the phone, you will need to bring/ courier the machine to us for analysis. You will then be quoted on what repairs need to take place and your machine will be repaired as quickly as possible and sent back to you. Do I own the machine after my rental contract has come to an end? If your coffee machine rental was financed, you will not become the owner of the coffee machine you were renting from the bank. Once your contract has come to an end you can discuss your available options with your Sales Executive and see if you can perhaps renew your contract and maybe upgrade to a new model. How long are your rental contracts? Is there a per month option? Our contracts are of varying length. We look at your requirements and will advise a contract period that makes most sense. We have a 36-month rental option as well as a per cup billing solution in place for corporates seeking free on-loan units with site staff to maintain the machine daily. Do you rent coffee machines for events? We do provide coffee machines as short term rentals or for events so call us to find out if we can help out. Can I test the machine before purchase/ rental? What is your lead time on delivery of my coffee machine? Once we have received proof of payment for your coffee machine, we can have your coffee machine delivered (Gauteng) to you within 3 working days. Should your business be located outside Gauteng we can assist with the courier of your coffee machine at a cost of R850 or you can organise collection of your machine. Do you sell any type of pod coffee machine? We don’t sell coffee pod machines. We believe that a boardroom/ espresso coffee machine or coffee vending machine is a better and more affordable coffee solution. 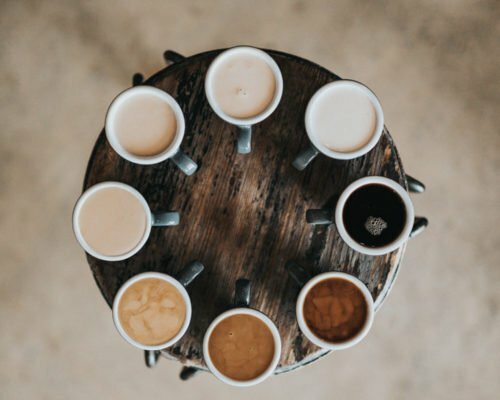 Just ask one of our Sales Executives for our statistical analysis we’ve done on the expense between pod coffee machines vs our coffee machines. Do you sell/ rent coffee machines outside South Africa? We can only provide rentals for businesses in South Africa. If you would like to purchase one of our coffee machines, you will need to organise your own transport to your destination country and ensure that it’s a cash sale. As our machines, do come with a guarantee, you would have to transport the coffee machine back to us in Midrand so that we can get one of our technicians to attend to it.